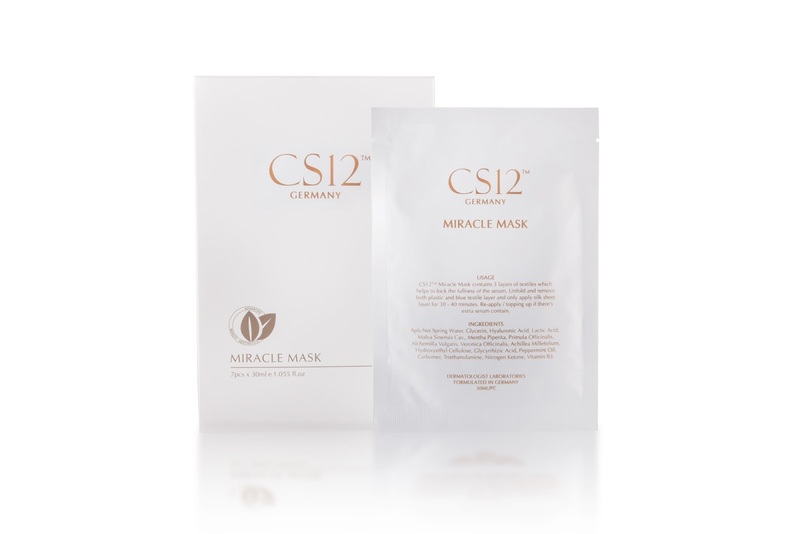 Specialized for sensitive skin, CS12™Miracle Mask is made with Japanese high quality silk facial cloth, well soaked with high volume of serum essence that contains anti-inflammatory properties, helps to soothe and moisturizes your skin after sun-burned or sensitive dehydration. Active ingredients such as Hyaluronic Acid helps to regenerate new skin cells, brighten up skin tone, reduces fine lines and wrinkles. Also to prevent skin damage from UV rays + remove dead skin cells effectively.